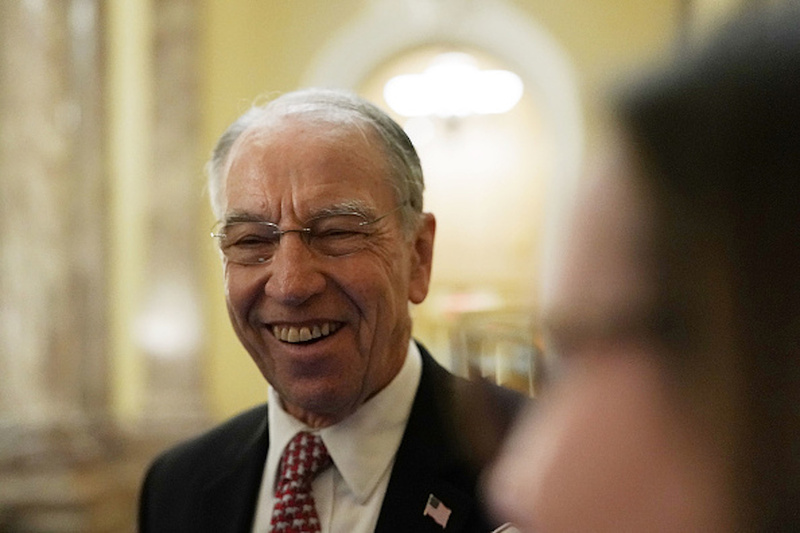 Republican Iowa Sen. Chuck Grassley said Friday morning he will be leaving the Senate Judiciary Committee to become chairman of the Senate Finance Committee. Grassley has served as chairman of the Senate Judiciary Committee since January 2015, and prior to that, he served as the ranking member from January 2011 to January 2015. Grassley served on the finance committee from January 2001 to June 2001 and from January 2003 to January 2007. He also served as ranking member from June 2001 to January 2003 and from January 2007 to January 2011, so the committee is nothing new to Grassley. “It means giving small businesses more of the tools they need to hire additional workers, invest in their companies and give their employees the benefits and wages they’ve earned. It means expanding market opportunities for farmers, manufacturers and service providers to export more ‘Made-in-America’ goods and services all across the globe for the benefit of workers in all of these valued sectors of the American economy,” Grassley continued. “And it means improving the affordability, quality and accessibility of health care, including in rural America. There’s always more that can be done to help make life better for and empower every individual and family. I look forward to working with other senators, both Republican and Democratic, to get the job done,” he concluded. Grassley will be elected to the position by the Senate on Jan. 3, 2019, as he is now the longest-serving Republican member of the Senate. Grassley has served in the U.S. Senate for 38 years. The current pro tempore is Republican Utah Sen. Orrin Hatch, who announced in January 2018 he was retiring, after serving four decades in the Senate.